From being featured on national television to headlining her first show in almost a year, R&B singer Keia Johnson definitely has a lot to be excited about! 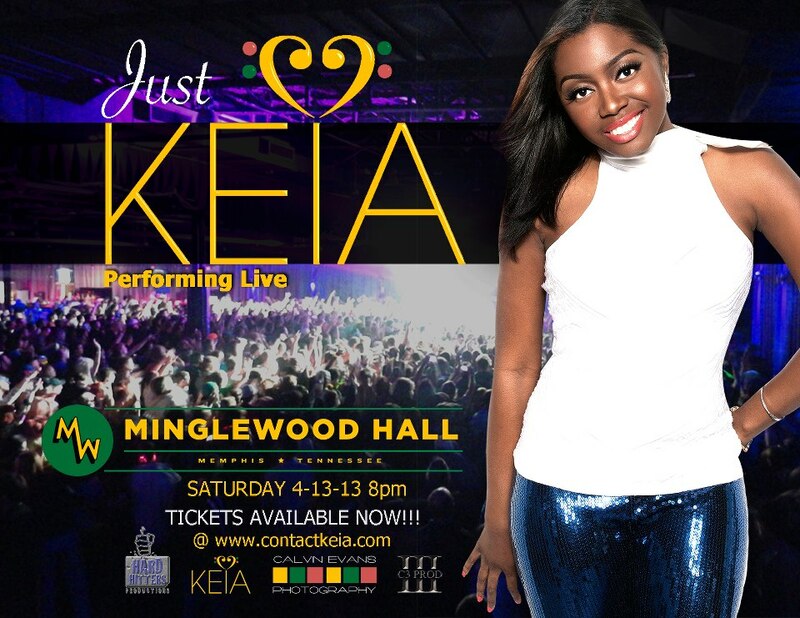 Just last week, Keia made her debut on NBC’s music competition show, The Voice, Season 4 premiere and next Saturday, April 13 she’ll be performing at Minglewood Hall’s 1884 Lounge. Featuring KL of UndenYable, Devin Crutcher, YouTube sensation Zephaniah and many other surprise guests and treats, this show promises to be a special event that will most assuredly mark a milestone for this remarkably talented and promising singer. Doors open at 8 p.m. followed by performances starting at 9. Food, drinks, and a DJ will also be present that night to ensure it will be a true class act. Tickets are now on sale for $10 in advance and can be purchased here. And, in case you missed it, Keia recently starred in an Emmy-winning commercial for the Memphis Music Foundation’s Music Resource Center, directed by Ardent Music’s Jonathan Pekar. To watch the commercial, click here.